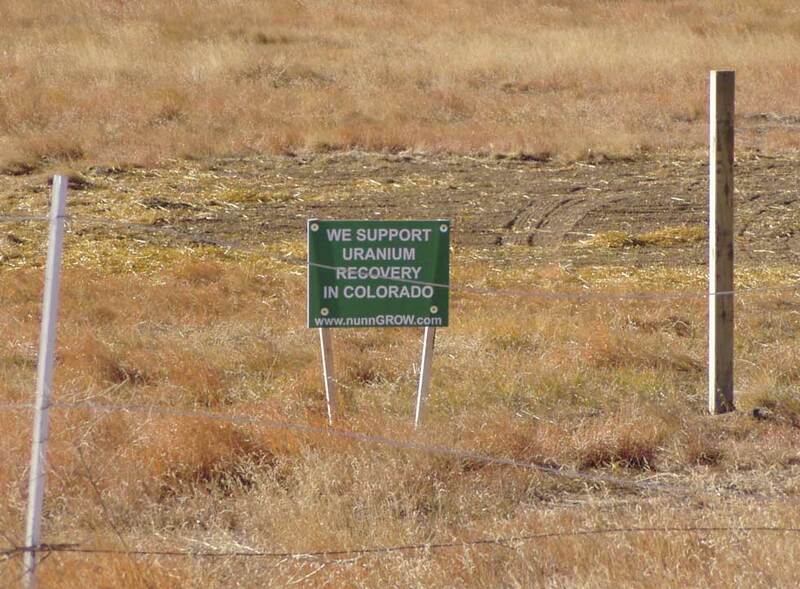 Neighbors recently reported Powertech workers have been posting small green signs on land purchased by the company. The signs are apparently part of a goofy public relations campaign hatched by Peter Webb Public Relations, Inc. 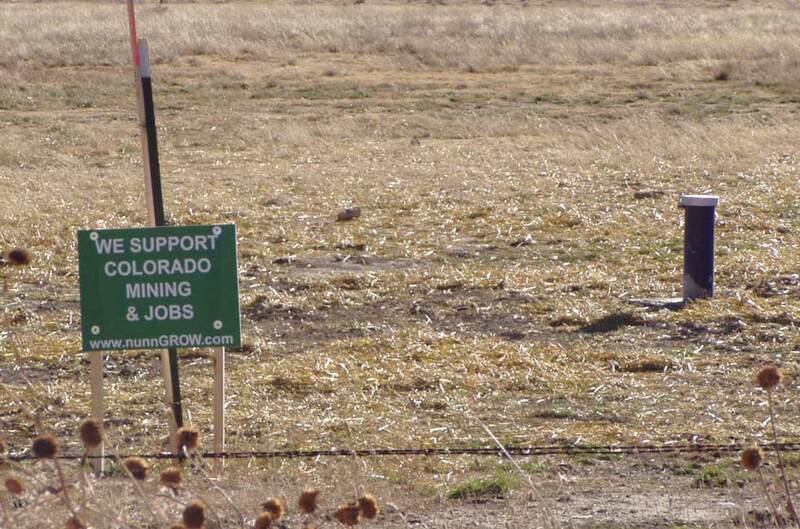 The signs bear various pro-uranium mining messages, including the admonition to "Find truth in the facts". This vaguely biblical command is hard to disagree with, but it begs the question: Whose "facts" contain the truth? 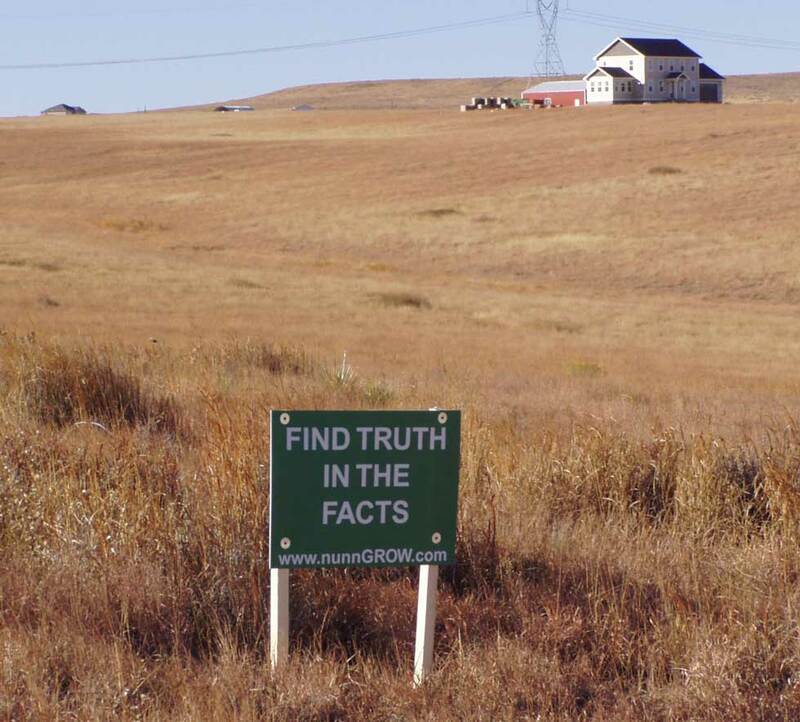 The sign implies that the "truth" will be revealed at the website www.nunngrow.com. Problem is, there is no nunngrow.com website. You are simply redirected to Powertech Uranium Corp.'s site. Surprise, surprise. One month ago, I broke the story that Powertech, through Mr. Webb's company, had registered the nunngrow.com domain. Webb must have thought it was extremely clever to use this domain since mining opponents have been using nunnglow.com for several months. With the emergence of the signs, we now know why Webb registered the domain. Presumably on Webb's advice, Powertech has erected signs promoting uranium mining which conceal the fact the signs are financed by the mining company. Residents, landowners, and others may think some type of citizen's group supports Powertech's proposal unless they go to the trouble of visiting the nunngrow (Powertech) website. If they do sit down at the computer to check it out, they may be surprised to find that nunngrow.com is fictitious and that they have been manipulated. For a company that loudly proclaims its dedication to transparency, facts, and truth, this stunt is deceptive and cowardly. Suggestion to Richard Clement and Richard Blubaugh: Have the guts to put your company name on your signs. In addition, it probably never dawned on Webb and Powertech that they were ripping off the historical slogan "Watch Nunn Grow" which is emblazoned on the water tower that was erected in the center of the town in 1921. Certainly, permission was not obtained before using this truncated version of the town's slogan to promote uranium mining by a Canadian company.